In the not too distant future, the package you ordered from an e-commerce website may well be delivered at your doorstep by a drone. The draft norms for drones have been finalised, which is expected to give a huge push to drones revolutionizing various aspects of our lives. Civil aviation secretary RN Choubey said that regulations for the unmanned aircraft systems, once finalised, would permit the commercial use of drones in India, reported the Times of India. Under the draft rules, small drones for children would be exempt from registration. The draft rules divide drones into five categories based on weight. The lightest are below 250 grams and called Nano drones. There are four categories above this: 250 gram to 2 kg; 2-25 kg; 25-150 kg and above 150 kg. The new rules also allow "air rickshaws" when the technology is available. This would be similar to the drone taxis that are being worked upon in Dubai. A two-seater, 18-rotor unmanned vehicle took off for a five-minute flight above a strip of sand on the Gulf coast on September 26, reported BBC. The India Today quoted Minister of State (MoS) for Civil Aviation Jayant Sinha as saying: "We have studied the drone policies of other countries and have tried to come up with the best possible regulation for India. We have tried to strike a balance between security concerns and ease of doing business in the drone industry." Firming up of the policy will go a long way towards ensuring that people are not on the wrong side of the law while flying drones. The police in January this year detained three foreigners in Delhi's Dwarka area for operating a drone from their terrace. In 2014, four people were arrested in Varanasi for filming Ganga aarti through drone cameras at the Dashashwamedha Ghat without permission. "One cannot import a drone as customs department will not clear it. Only those having permission on government letterheads get approval. In India there is no ban on sale of drones but there is restriction on usage. In this situation only the grey market is growing and bribery at police stations and customs for clearance has increased," John Livingstone, president of the Consortium of Unmanned Vehicle Systems India, told India Today. 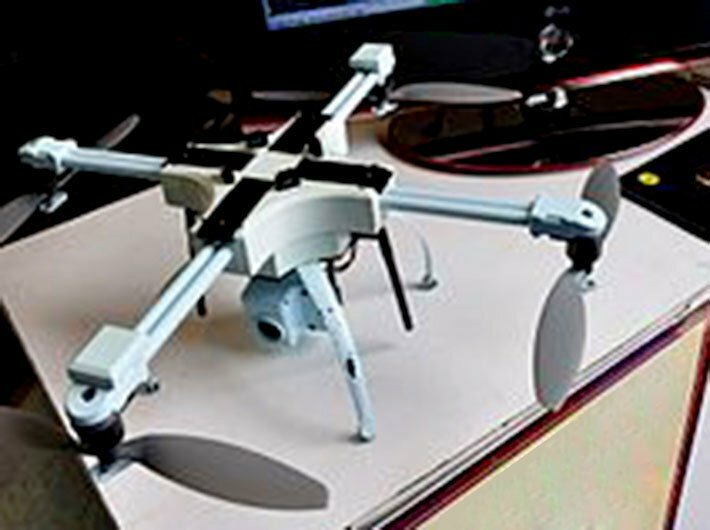 A PwC report said that UAVs (Unmanned Aerial Vehicles) were used commercially for the first time in Japan at the beginning of the 1980s, when unmanned helicopters proved to be an efficient way of supplementing piloted helicopters to spray pesticides on rice fields. At that time, remote aircraft technology was expensive and cumbersome. Progress has surged forward in technological capabilities, regulations and investment support, providing many new possible applications, particularly in agriculture, infrastructure, security, transport, media & entertainment, telecommunications, mining and insurance. The report “Clarity from above” noted that the application of drone technologies in existing business processes is allowing companies from those industries to create new business and operating models. Each industry has diverse needs, and as a consequence requires different types of drone-powered solutions, and various drone functionalities. Some of them value flight speed and payload capacity, while others wish to concentrate on solutions delivering high-quality, real-time data in a cost-effective way. “The total addressable value of drone powered solutions in all applicable industries is estimated by PwC at over $127bn. The industry with the best prospects for drone applications is infrastructure, with total addressable value of just over $45bn,” it said. The PwC report on commercial applications of drone technology said that the regulatory aspect of commercial drone operations is currently one of the most important factors affecting the pace of drone powered solutions’ adoption by businesses and government entities. Today many organisations are considering testing and using drones in their business operations, but are wondering about the legal aspects. They see the benefits of using drones, but they need transparent rules on how and where they can use them, what they should do to guarantee the safety and efficiency of drone operations, and the grounds on which authorities issue licenses or permits for commercial drone applications. An important aspect of the drone technology would be in the e-commerce sector. Amazon has got a head start with its Prime Air project. The company first announced its project in late-2013, to much skepticism. Since then, the project has overcome numerous hurdles, noted digitaltrends. It would not be long when India too would benefit from the drone technology and the sky would buzz with drones that are busy undertaking a host of tasks.